The Best High End DSLR is something more than an Mid Range or entry-level model, The High End DSLRs cameras are designed for professional use. They range in price from the high-hundreds to mid-$1,000 for the body only. Features that pro DSLRs may have that most mid-range models don’t include extra durability and Solid build, a longer-lasting shutter for professional use, and more accurate color rendering. The Best High-End APS-C DSLR that your money can buy. It features a 20.2MP aps-c CMOS sensor and Dual Digic 6 image processor, it has an ability to produce high-resolution, well-detailed still imagery and full HD 1080p video. The basic ISO range of 100-16000 can be further expanded to ISO 51200, which is excellent to work with low light condition. The DIGIC6 processors help the camera to generate excellent images with incredibly smooth color and corrected optical aberrations. The power of dual processor benefits the imaging system through the addition of speed, which avails 10 fps continuous shooting for over 1000 JPEGs, 31 RAW, or 19 RAW+JPEG files, along with a top shutter speed of 1/8000 sec. and a top flash sync speed of 1/250 sec. The 7D Mk II features a highly advance 65 Point all cross-type autofocus system works while shooting with a viewfinder to provide quick and accurate coverage. It supports focusing down to -3 EV to enable working in low-light conditions. The second generation of Dual Pixel CMOS AF helps in getting fast and precise focus over the object, it works in a same way as in a camcorder’s focusing technique. 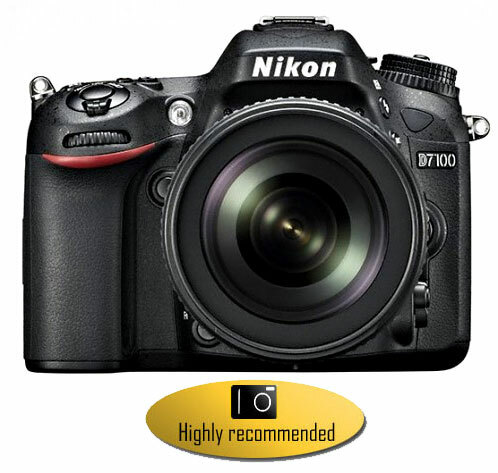 Full HD 1080p recording in multiple frame is supported with EOS 7D II. MP4 and MOV both file formats are supported. High quality H.264/MPEG-4 AVC codec along with manual exposure control is used to record the video. Auto partition of video clips are done once the file size has reached 4GB. Depending on editing and output preferences both IPB and all i-frame compressions are available. Focusing location and speed can be adjusted while recording the video. In-built mic records audio in PCM and ACC format depending on the format of the video being recorded. An external mic can be attached for better performance and even a headphone can be plugged with it to give the real time audio monitoring. It is created using a durable magnesium alloy with shutter tested to 200,000 cycles, along with upgraded mirror and shutter drive mechanism. Its body is dust and moisture resistant. It has a large and bright 3.0″ 1.04m-dot LCD screen that can be used to scroll the menu or for live image monitoring. A smudge-resistant and anti-reflective Clear View II coating is done on the screen to make it suitable for use in ideal condition. The body design also includes dual memory card slot that accepts one CompactFlash card and one SD/SDHC/SDXC card. It features a USb 3.0 jack and wi-fi for sharing images with linked devices. The Canon EF and EF-S Lenses support is one of the most improtant thing that you will get after purchasing the camera, Canon High Quality L series lenses will you you 100% output from your DSLR. 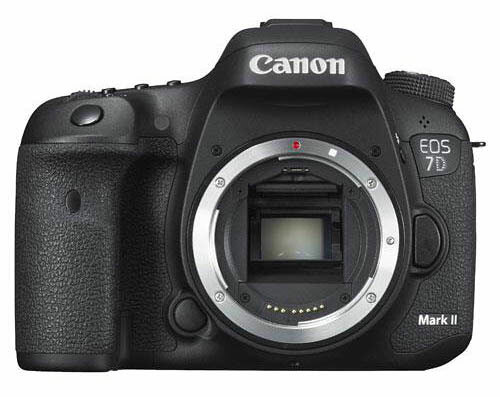 We highly recommend you to Buy Canon 7D Mark II camera since it features new Sensor with second generation of Dual-pixel AF technology and advance AF system that features 65 AF points and all cross type… the overall specification of 7D Mk II make it a prefect choice for professional shooters. For fast continuous shooting you have 1.3x crop of DX sensor. Using the 1.3x crop option allows the 51 autofocus points to cover almost the entire frameand gives you speedy AF performance, The D7100 also features several high-definition formats: 1080p at 60i/50i/30/25/24 fps or 720p at up to 60p for ultra-smooth slow-motion sequences, other features include Built-in HDR and support to optional WU-1a Wireless Mobile Adapter. Canon 70D is third in our list due to bit noisy (yes only a bit… visible during test condition) high ISO performance when compared to Nikon D7100, but also remember that the 70D is the only High-End APS-C camera that comes with newly developed Dual Pixel CMOS Sensor with active phase AF system, the phase + contrast AF is always active when you are shooting video or taking still pictures. 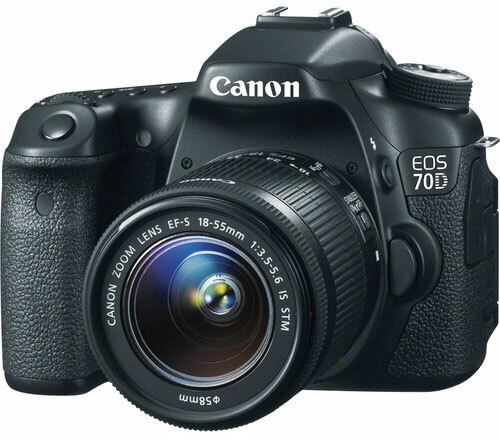 Canon 70D is a excellent camera that features newly developed sensor and Dual Pixel CMOS AF or active phase AF system, the phase AF is always active when you are shooting video or taking still pictures, the 70D AF system is completely unique and advance, during the test condition we have seen the AF is faster the D7100 during live view mode or while recording videos. The 70D comes with advance DIGIC 5+ image processor, the processor help 70D to achieve top continuous shooting speed of 7 fps, low noise in high ISO JPEG images and video and Full HD 1080p Video with Move Servo AF. The new image processor make this camera ultra fast and super responsive. A large, bright 3.0″ 1,040k-dot vari-angle Clear View II touchscreen LCD monitor is integrated into the 70D to enable clear live view monitoring, image playback, and intuitive menu navigation, other features include built in Wireless connectivity and rugged design .